Forget about hardwood refinishing for a moment. For right now, imagine that it's Sunday morning. The warm sun is peaking in through the window and over the faint sound of birds chirping you can hear your family getting ready to start their respective days. Junior is eating breakfast and preparing for his big soccer game, and while trying to put his cleats on at the table he spills his glass of milk. You make a joke, you both chuckle and together you clean up the mess. It sounds like a beautiful and relaxing morning, doesn't it? Not for your hardwood floors. UV light and radiation produced by the sun can come in through the window and bleach the vibrant colors out of your hardwood. This can cause them to look dull and worn, instead of lustrous and new. Sharp points like cleats, especially when coated with sand or mud from a soccer field, can scratch the protective coating on your floors and allow water and dirt to infiltrate and damage the wood. Liquids like milk can seep into these cracks and cause swelling, buckling, and discoloration. Small, insignificant damages can build up over time, destroying your floor's beauty. Don't fret; you don't have to give up your cheerful, relaxing Sunday mornings to have floors that always look new. Gilman Floors offers professional hardwood refinishing to the Bluffton, South Carolina area. The damage that builds up over years of fun, messy mornings can be undone in a day. Our refinishing service consists of qualified professionals who are committed to doing an excellent job, fast. 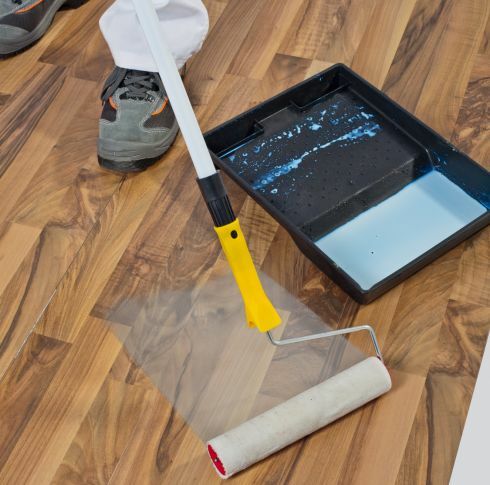 You don't have to worry about the damages of everyday life showing on your floors. If you have important guests coming, are looking to sell your home, or just want to spruce up the place, Gilman Floors are the people to call for quality hardwood refinishing at competitive prices.